notable export, perhaps, is the mole poblano, a culinary work of art. Puebla is an old historic town about 2 hrs outside of Mexico City. It’s worth a visit to see it’s cultural importance since it’s a UNESCO site. Picturesque colonial downtown, safe, and with some of the best cuisine in the country (home of mole poblano and cemitas, for example). Cholula (town and archeological site), in the same metro area is also pretty cool, more hippie. Puebla is the 4th largest city in Mexico and only an hour or so away from the capital, Mexico D.F. Gorgeous town about 2 hours from Mexico City without traffic. You can either take a very nice bus for $30 roundtrip or pitch in with some friends for a car (~$170USD) so less than ~$45USD/person with driver included. It was founded in 1531 so the city architecture and planning makes it worth a visit. It's a World Heritage Site! Great local eats include mole and the national seasonal dish, chiles en nogada. Puebla is one of our favourite places in Mexico. It's a beautiful vibrant city. This is a rather large city, though nothing like DF. We stayed at a nice little hotel downtown with a room next to a garden plaza ( I had fun telling my friends who were paranoid about cartel that there were two men with guns in the garden, they were not amused). We ate a nice outdoor cafe that felt a bit south american and I found a health food store with freeze dried soy protein that I used the rest of the trip for burgers, sloppy joes and soup (Mexicans do not know how to eat sloppy joes haha). We went to an animal safari south of town, the animals seemed pretty happy and had lots of space. 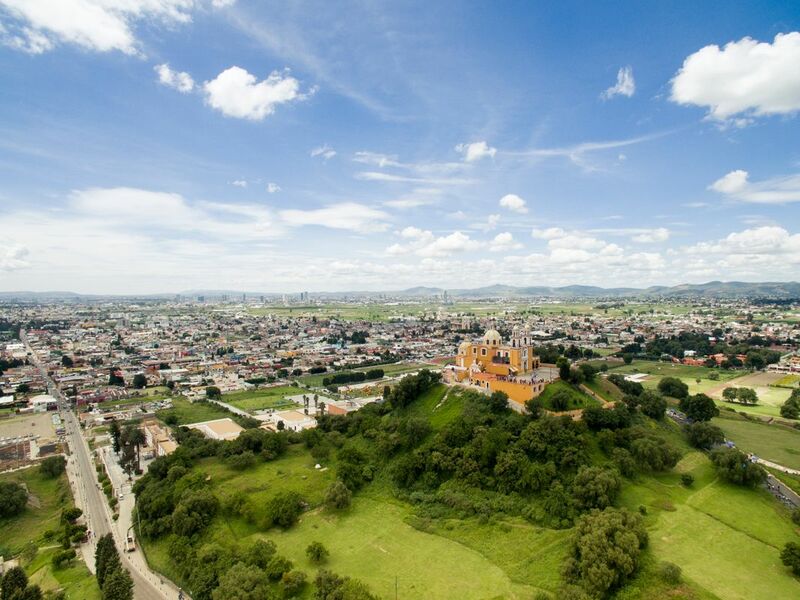 I love Puebla/Cholula! A lovely colonial city, very well kept and with its own distinctive vibe. I went for the food, and I was not disappointed. Puebla is famous as Mexico's culinary capital, because it has been a major crossroads: there's French influence in things (lots of breads) and Arab (tacos that look an awful lot like shwarma) and Italian (loads of espresso). Incidentally, Puebla is Mexico's fourth-largest city. I didn't realize this even after I got there, because the center of the city is so trim and tidy and sedate, like a much smaller metropolis. Amazing place! Great food! Great people! Great places!